Welcome. 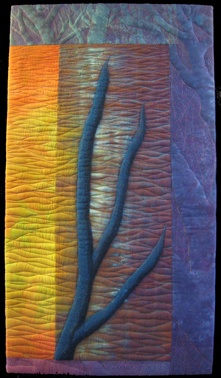 Currently Cindi uses needle felting, wet felting, and extreme quilting to transform her hand-dyed fabrics into stunning sculptural reliefs. Please use the drop-down menus to visit different "rooms"
To inquire about sales of available work or to discuss a commission, please contact the artist.